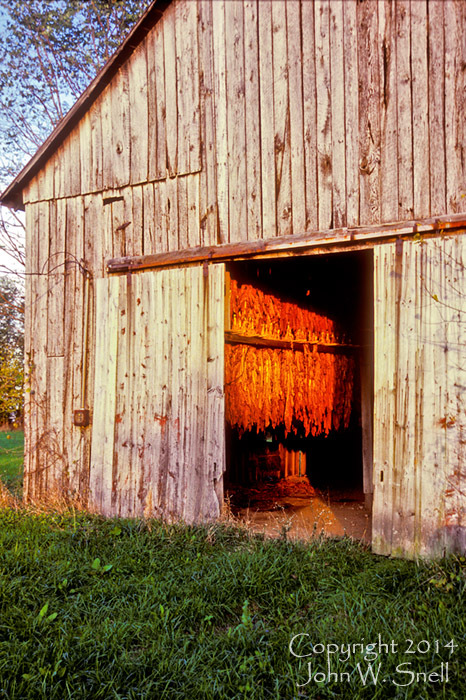 Tobacco has for generations been a major cash crop for Kentucky farmers. It is harvested in late summer and placed on rails to cure in barns like these. Late afternoon sun in mid-October highlights the reddish brown leaves of this crop that will soon be taken to market.